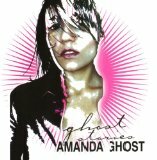 Amanda Ghost (born Amanda Louisa Gosein) is a singer and songwriter from London, England. After an initial period in which she performed as a solo artist, she formed a band which performed under her name, and of which she is the lead singer. Born in North London to a Spanish mother and an Indian father, Ghost was encouraged at an early age to play guitar. Her first recording contract was with Warner Bros. Records in Los Angeles, California, for whom she recorded her first album, Ghost Stories. For the past couple of years she has worked and performed with her long-term collaborator and partner in 'Amanda Ghost', Ian Dench (formerly a guitarist with EMF). Ghost's second album was released in autumn 2006 on her own record label, Plan A Records, and was preceded by a limited edition EP, Blood On The Line.